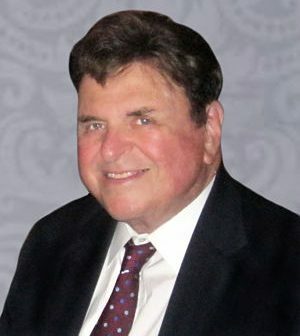 Noel Zeller, celebrated inventor, award-winning designer and founder of Zelco Industries Inc., passed away on September 13 at the age of 82, following a battle with liver cancer. He leaves behind Adele, the love of his life as well as business partner, and his self-proclaimed “greatest achievements,” daughters Nikki and Gabby and two grandsons, Craig and Justin. Founded by Noel and Adele Zeller in 1976, Zelco Industries Inc was an American success story. At its founding, Zelco products were designed, manufactured, marketed, and sold from the basement and garage of the family home in New York. From these simple beginnings, the company grew into a multi-national enterprise, with facilities in the U. S., Italy, Hong Kong and China, with a broad range of products distributed in over 30 countries worldwide. From the beginning Noel’s objective was to create some of the most exciting, innovative and useful products in the industry by combining functional design with the latest technology. Noel believed that good design belongs to everyone. He invented products that were multi-functional, user friendly and affordable, always adhering to the highest standards of design technology and craftsmanship. His inventions include book lights, flashlights, lanterns, clocks, computer peripherals, calculators, weather instruments, electronic dictionaries, gourmet items and travel products. A humble genius, known by all for his great sense of humor and love of life, Noel invented many items and has hundreds of patents and trademarks to his name. He loved talking about his ideas and teaching young students in both high schools and colleges in New York. His inventions are in the Smithsonian and other museums across the country. Noel Zeller earned international recognition with products in the permanent design collection of the Museum of Modern Art NY, multiple Accent on Design awards, and others including the Industrial Designers Society of America, Roscoe, Clio, SMAU, “G”, DESI, Pioneer and Andy. In the 1990’s, Noel was also invited, together with other prominent industrial designers such as Steve Jobs, to be part of the White House Counsel on Design under President Bill Clinton. His legacy will live on in his inventions and unique products throughout the world. That may not have mattered much to Noel, but to his family and friends it is a fitting tribute. A select display of gift and home products designed by Noel will be displayed at the winter 2019 edition of NY NOW, February 3-6, 2019, at New York City’s Jacob K. Javits Convention Center. Products to be displayed are: Shirt Pocket Fluorescent Lantern (1980), The Original “itty bitty” Booklight (1982), Aquatime Rope Clock (1988), Long Reach Flexible Flashlight (1989), Travel Thumper (1990), 1st Aid Alarm & Flashlight (1991), Aqua Pill Timer (1991), Ergonomic Calculator (1992), Brisk Brew (1992), Ultra Blast (2000), Bookmark Dictionary II (2003) and LED BBQ Light (2005). Family members, Adele, Nikki, Gabby, Craig and Justin will be in attendance on Sunday, February 3, so that industry friends may pay their respects and share their wonderful memories. Donations honoring Noel’s memory and legacy may be directed either to Columbia University for research atherosclerosis cardiovascular disease (Dr. Allan Schwartz, Columbia University, 161 Fort Washington Ave, New York, NY 10032) or to Donna Klein Academy (DKJA), 9701 Donna Klein Blvd., Boca Raton, FL 33428. Smart Retailer offers the best advice for gift shop owners to help them run their business, and also gives the first look at the best new products to carry in their store.